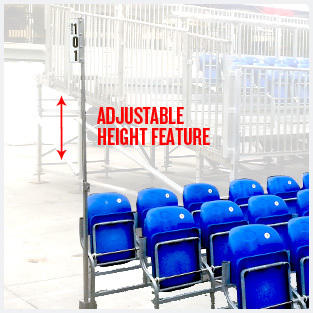 We understand the complexity of creating the perfect seating venue. Your Floor seating needs to convey a clear, easy accessible entrance and exit for your guest. 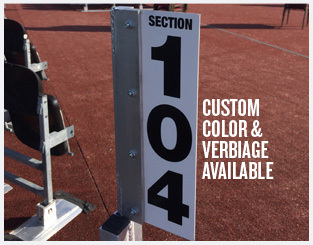 To meet the demands of high level foot traffic while displaying clear section areas, Seating Solutions offers customized “Section Signage” for all Floor track and Grid Seating options.